I'm working on a longer series of articles about Typescript. This will be extra material to support my upcoming Angular 2 book. This is the first part of that series. 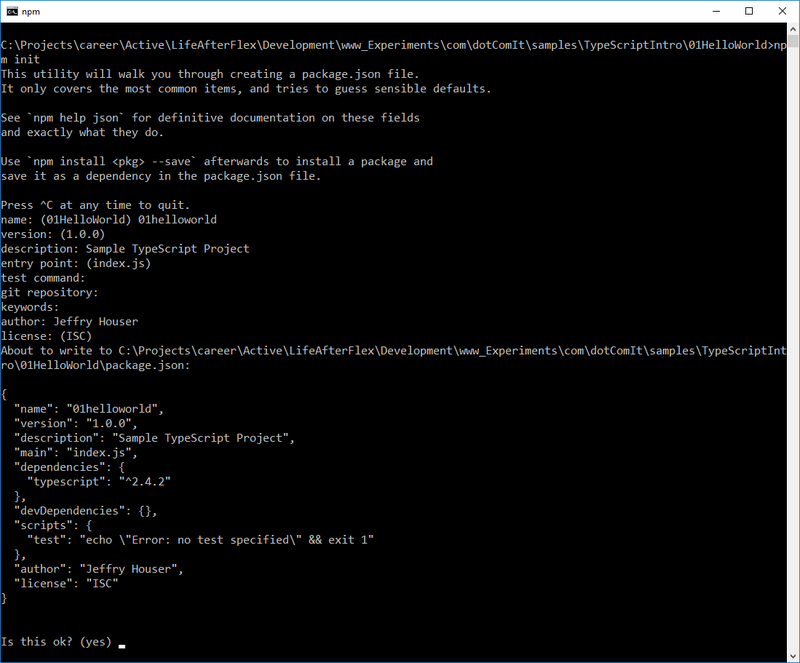 With TypeScript installed, you're ready to write your first Typescript application. The purpose of this code is to echo a Hello Word message. The function accepts a string, and returns it. The innerHTML of the document's body tag is set to the results of the function call. Congratulations! 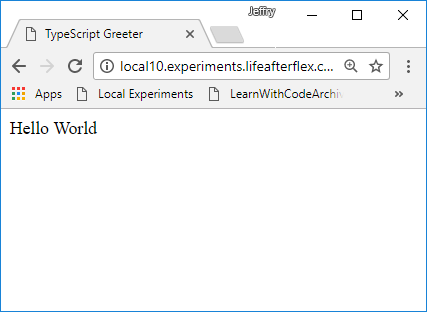 You've created your first TypeScript application.